a luxury & lovely hotel @ Katiang Bay with friendly staffs. Stayed room S101 with a walk path to the pool. The sunsets were unbelievable and romantic. Amazing! Made to order breakfast and the best coffee. PERFECT! My friend and our famliy lived 2 night in this place! Amazing place! Nice room, nice pool, nice beach, the best service! I strongly recomendation this hotel to everyone! You can't miss it! Also from Mar-7 to Mar-9 is Lanta Old Town Festival, there are so many interesting things in there. Thanks Peter ( Boss for Phra Nang ) suggestion! The room is quite clean and comfortable, and the staff there is also nice. It's nearby the beach, you can see the amazing sunset in your room. Moreover, there is a fantastic restaurant just across the hotel. Everything is good. We will choose this hotel again if we wanna live in Ko Lanta next time! Kantiang Bay is one of Koh Lanta's most renowned sites. Visitors can find the best hotel prices near many Beaches - only on Agoda.com. Finding the perfect hotel for your next trip to see Kantiang Bay is easy via Agoda.com, with options such as Cashewnut Tree Bungalows and Pimalai Resort & Spa. Agoda.com's secure on-line booking form makes it easy to reserve hotels close to Kantiang Bay. 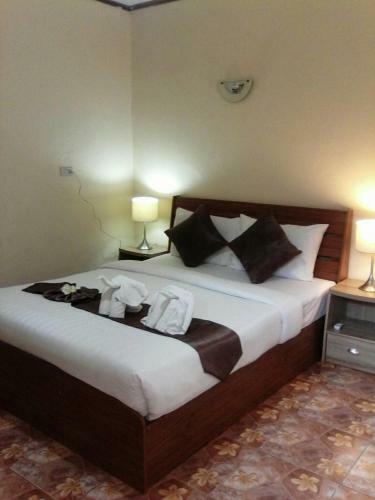 Convenient search tools and informative hotel pages make finding Koh Lanta hotels easy. With availability in over 22,000 cities worldwide, more travelers today are choosing Agoda.com to search for hotels near attractions like Kantiang Bay.